A killer cupcake is on the loose in this colorful shooter! 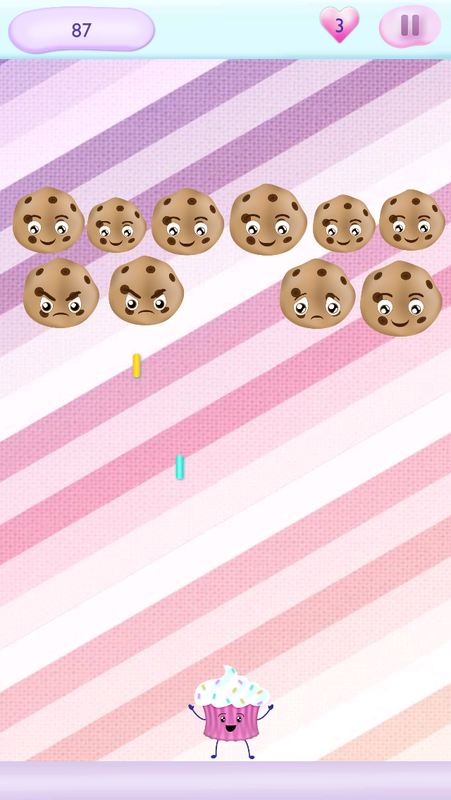 With gameplay reminiscent of arcade shooters – use the accelerometer to control the cupcake as it tries to destroy all of the other sweets in the game. 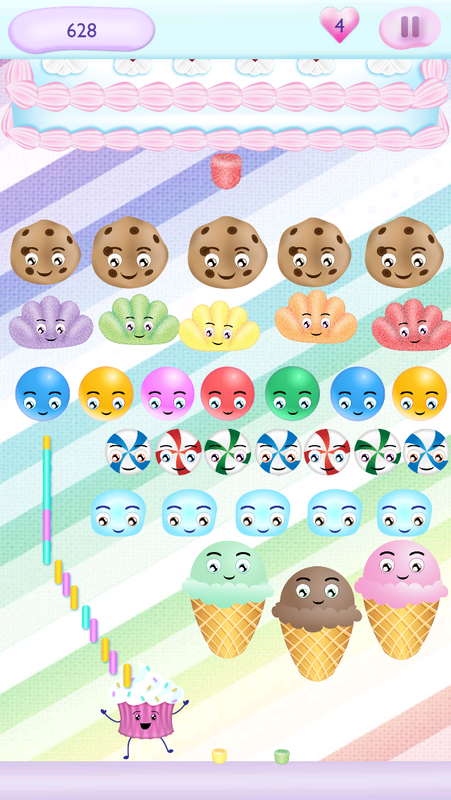 Shoot sprinkles to blow up cookies, candies, and pastries, and collect power-ups and rewards as you progress through the levels. But watch out! These sweet treats won’t be overtaken easily!